5G-Xcast is proud to announce that deliverable D6.3 on Test-Beds Integration and Deployment is now released and can be downloaded from this link. 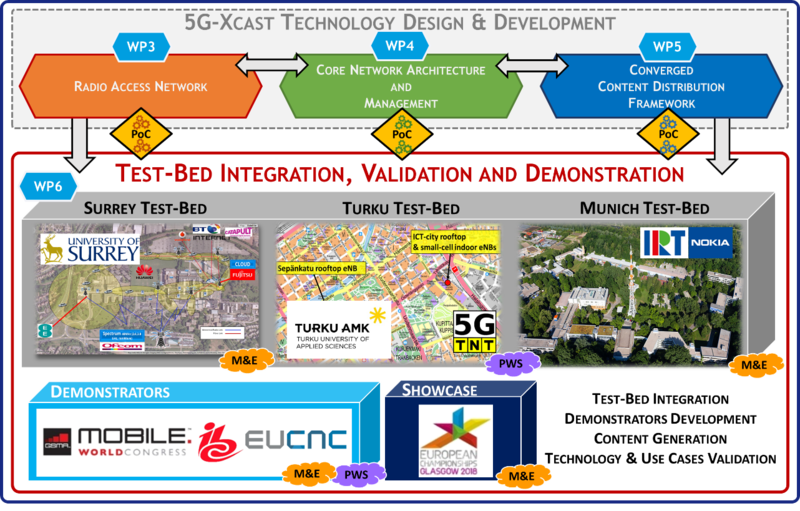 This document concentrates on the planning and development process for testbeds and trials within 5G-Xcast project. 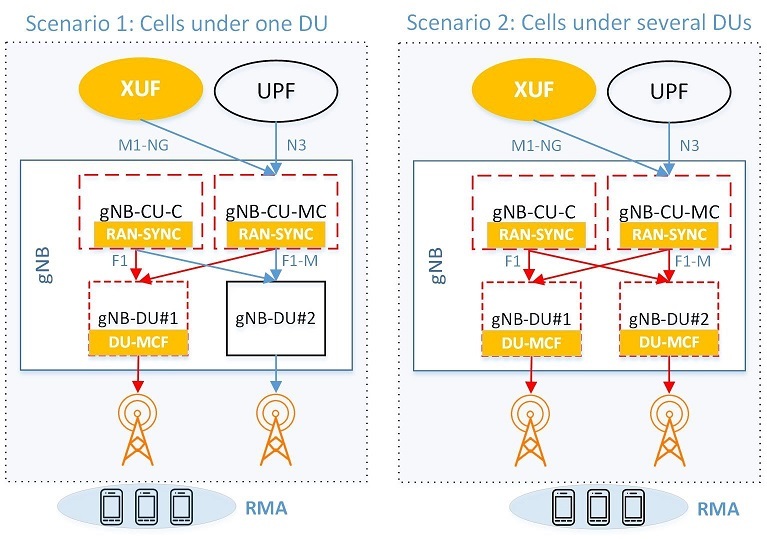 The trials have been planned to experimentally demonstrate multicast and broadcast features developed for dynamically adaptable future 5G network architecture, leveraging on the development of three test-beds, including two urban city test-beds: IRT/Nokia in Munich (Germany), 5G Innovation Centre (5GIC) in Surrey (UK), and TUAS in Turku (Finland). Hybrid Broadcasting Service trials are conducted in the Munich test-bed, including the incorporating components from project partners, e.g., simultaneous delivery of linear TV and on-demand content, multi-network connectivity and seamless transition between networks, and dynamic allocation of unicast/multicast according to traffic demand. Object Based Broadcasting trials are implemented in the Surrey test-bed in the 5GIC in the University of Surrey, consisting of media objects delivered via a mixture of multicast and unicast. Public Warning trials are conducted in the Turku test-bed, incorporating broadcast transmission of multimedia public warning messages. Spectrum trials are also carried out in the Turku test-bed, focusing on flexible spectrum allocation mechanisms and their evolution towards 5G. The development of the test-beds is elaborated in this document, as an essential part of the roadmap towards the integration of the trials and the demonstration of the corresponding use cases on the test-bed. 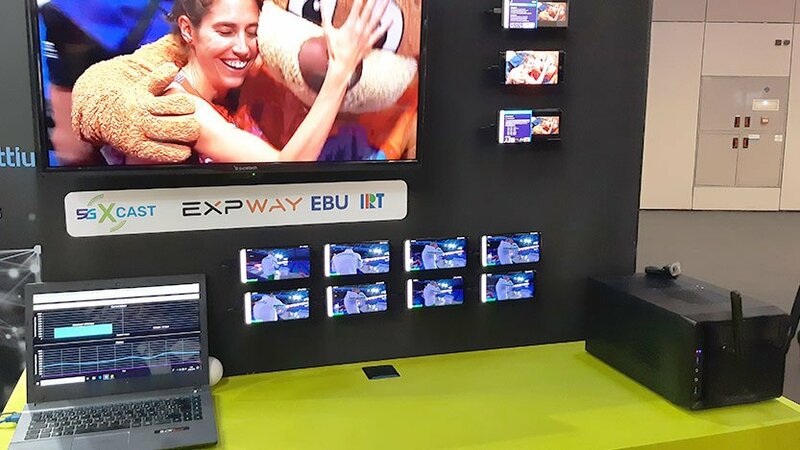 Elements such as Dynamic Adaptive Streaming over HTTP streaming, Multilink and MBMS Operation On-Demand are to be implemented in the Munich test-bed for the trials of Hybrid Broadcast Service. Object Based Broadcasting elements such as Dynamic Adaptive Streaming over Multicast are being added to the Surrey test-bed and the necessary components for the Public Warning and the Spectrum Manager are being implemented in the TUAS test-bed.